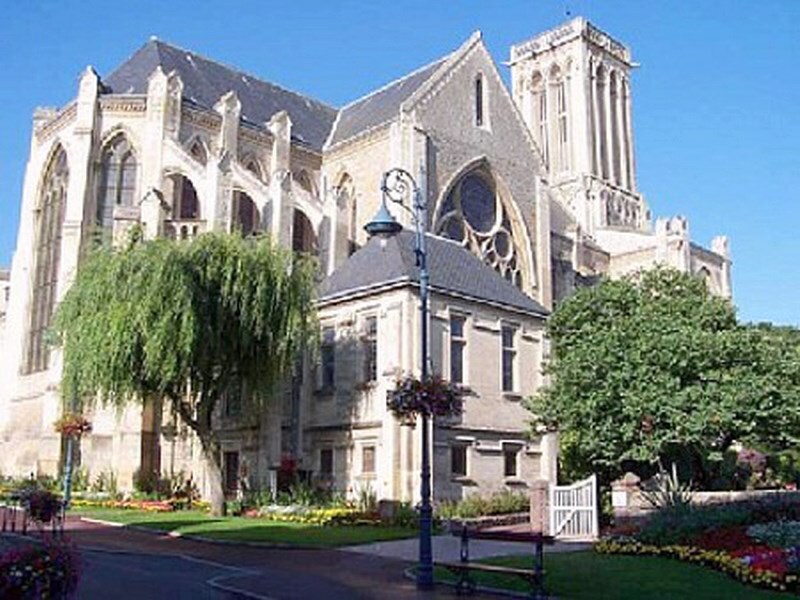 The Saint-Martin church is a remarkable example of the Neo-Gothic style that has been flourishing in Normandy since the end of the 19th century. Through some donations, it replaced the ancient church, become too small, in 1874. The sculptures of brothers Jacquier and the glass window of the atelier Duhamel Marette have been classified Historical monuments. This atelier situated in Evreux provided Villers-sur-mer with an extraordinary set of 51 coloured glass windows considered as one of the masterpieces of the Basse Normandie art of the end of the 19th century. A painting made by Jean-Joseph Benjamin-Constant and representing "Saint Joseph foster Father of Christ” has also been included to the list.